An extra show for the week. Tonight I will be speaking with Brent Thomas who hosts The Paranormal Portal Podcast on YouTube. We chat about many topics tonight. I hope you enjoy the show. First,awesome! Thanks for the early show Wes, as always appreciate all your hard work. Oops.. Terrible song- – not ong. Yes Jesus is the answer. I found Him years ago and even in the Lord’s prayer he told us to pray to deliver us from evil. He will protect us with his angels if we ask him. SWEET. 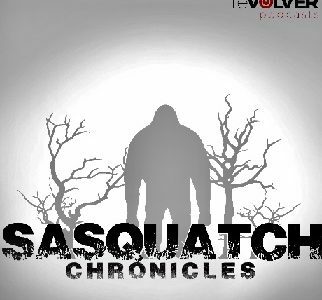 NOTHING BETTER THAN A BONUS SASQUATCH CHRONICLES! THANKS GUYS!!! Great to hear from Brent, thanks for having him on the show, Wes! I can’t bring myself to sign that manifesto, sorry. Brett seems great. Can’t imagine doing a live show daily, props to him. I heard a story the other day that reiterated to me that the lights are not something good! My son’s friend (have known her for over 10 yrs) has a grandmother who practices Santa Ria 😵 and of course she’s distanced herself from this grandmother. Her sister on the other hand, goes to visit occasionally and always comes back in a ‘psychotic’ state. Last time , after a visit, the sister was smiling strangely and a goldish colored light flew out from behind the strange acting girl and disappeared! Excellent show!!! Thank you ,Wes!!! Wes thank you for letting us in on this podcast Paranormal Portal, am enjoying it! Thanks Brent. I like hearing all types paranormal encounters. Definately checking out Paranormal Portal. Thanks for bringing some episodes and posts with a little broader scope Wes. Interesting. It’s an I cant believe its Show Time, Show Time!!!! I don’t know how you do it! Thanks Wes. Well, that was really good. I like people who are willing to think outside the box. I get what Wes was saying. I’ve cycled through BF beliefs too. What the heck is that thing?! // I’ll check the guests site out. Thanks again Wes. There can be various types of entities that can effect a building or a piece of land. There are higher level entities that can manifest as a physical being. They can also shape shift. The spirit realm is real no matter what you believe in. The Native Americans are very spiritual and believed that there were good and bad spirits. Many of those tribes were afraid of their own shamans that used drugs and the summoning of demons to obtain powers. Sadly, many of the modern Christian churches do not even touch on what to do with entities that the Bible says that the Christ and his disciples easily dealt with. It is sad to see people turning to psychics and mediums for help get rid of these entities when it was the assignment of the believers in the Messiah to deal with those things. Much of the modern Christian church has just ignored the spirit realm altogether. Some say that they believe the Bible but they have cut out so much of it from their belief system that there is no power anymore. Whoo Evelyn, you said it best. It’s my belief (now) that the sign of the falling away is just that… falling away from the truth and becoming worldly and greedy. I used to think that the scripture meant believers falling away and becoming nonbelievers, but that clearly is NOT the case. It’s the church becoming worldly and turning for the Lord’s way to mans way (aka_ religion). That was clearly the case when Yeshua walked the Galilee. The other thing is, there’s so much we should say, but because “the church” has become so judgmental, non believers group us in the same group as those so called Christians. I keep hearing about “knowing the Lord”. Did Yeshua say depart from me, for I never Knew YOU?! I have always listened to paranormal and taken it up with the Lord. He is great. He can handle it! I do agree with what the gentleman said, it’s about Faith. Faith is dead if it’s just talk. Faith is kinetic and it is a force to be reckoned with! I am so impressed by this site. God Bless and protect Wes and his team. I loved the surprise extra show Wes! Thanks Wes, and Brent! I’m looking forward to more PP shows too! I feel that its just Great that you’re mixing it up here with a little more paranormal. It seems that there is enough evidence at this point in time to tie many of our inner and outer earth beings together. Humans however, well, most of us, have just been out to the Loop for so long! We need to climb away from what we’ve been referring to as the Woo and just let it meld where it may. I haven’t listened to the extra show yet, thank you Wes, but I’d like to comment on the lights. They indeed are not to be messed with. The lights are to keep track of the cymeras (sp) that are in areas that lights are observed. I know that I will sound crazy for this next comment, but back in the days of Eisenhower the deal that was brokered was for “et’s” to continue their genetic applications , the orbs keep track of them and our government cleans up any “mess” created by them…i know it sounds crazy but love put a lot of thought and research into this and more. Thanks for listening..
great show! Very enjoyable. I live in a similar home here in northern Michigan, with its own expressions of the paranormal at times. I was so appreciative to hear him say, look, it doesn’t bother me that much. That’s the way I am with it all. If things stay calm and friendly, they are welcome to share my space! But I hardly ever hear others voice that. Thank you, for the show! and dogman is spirits and UFOs! Thanks Brent and Wes. I subscribed to Brent’s channel. I had a blue orb about the size of a soccer ball in my house one night. I was sitting on my bed and looked up and watched it float through my house and into my bedroom. It stopped right in front of me. The hairs on the back of my neck stood up. It started to increase in size. I swung my Bible through through the orb and it disappeared. I never thought to grab my phone and take a picture. I have had strange experiences most of my life. I have seen several UFOs. God bless. Nosferatu is an OLD (1922) German movie, https://en.wikipedia.org/wiki/Nosferatu. Nosferatu is the OG of vampires – you’ve probably seen stills of his face around Halloween. Also, check out Shadow of the Vampire, https://en.wikipedia.org/wiki/Shadow_of_the_Vampire, it’s a fictional story based on the filming of the movie, and how the main actor, Max Schreck, who played Nosferatu, stayed in character during the filming, and how the cast and crew suffered for it. Wes – Please delete this if it isn’t cool to post a link from another podcast, but Astonishing Legends did a great three part series on the Black Eyed Kids. They talked to the original reporter about his experience, as well as other witnesses, and authors who have researched the phenomenon. https://www.astonishinglegends.com/al-podcasts/2017/10/22/ep-87-black-eyed-kids-part-1?rq=black%20eyed%20kids. Subbed to the Paranormal Portal as well. Thanks!